One of Mass Effect 2's fan-favorite features was the loyalty missions. Want Jack's unwavering support? You need to help her face down her past. Want Garrus to give you the best calibrations? Help him take down a former teammate who betrayed him. Well good news: those missions are back for Mass Effect: Andromeda. 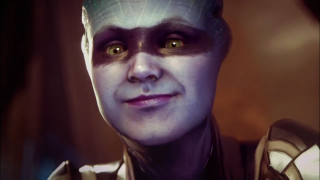 Mac Walters, who served as a writer on both Mass Effect 2 and Mass Effect 3 and will now serve as director of Andromeda, confirmed as much to Game Informer in a recent interview. "As a writer, one of the things I loved was the freedom to say 'I know this character is coming along,' so they can carry a lot of the narrative," he said. "That made my job easier, but it also made it more fun, because I could tell a more specific story in one of those missions." The downside to loyalty missions in ME2 was that (spoilers for a 6-year old game ahead) if you didn't complete them, a squadmate whose story went unresolved was far more likely to die during the final mission. Walters says that won't be the case this time: "[The loyalty missions are] much more optional in this case. If you don’t want to engage with them, you don’t have to. If you want engage with them after the critical path is done, you can do that." Mass Effect 2 is my favorite of the series, so I'm glad to see Andromeda's director taking cues from its successes. Here's hoping we get missions as interesting and as fun as the last ones.